I plan to graduate magna cumme laude in the spring of 2020 while also planning to attend medical the following fall by continuing to immerse myself in academic exploration, studies, and extracurricular activities. Sophomore year at Ohio State was a year of academic and extracurricular challenges and successes. I experienced many unique situations that arose unexpectedly outside of the classroom dealing with a part-time campus job while also remaining a full-time student. I also was able to secure a psychology research position next year. Now that the year is over, I feel more confident and more experienced than ever before and I feel well prepared to continue on to the next step of my journey towards medical school. I was also able to remain engaged in community service opportunities while participating in STEP for an upcoming Buck-I-Serv trip in December 2018. My second year in the BioSci Scholars program allowed me to attain a position as an Honors & Scholars Ambassador while shaping my academic interests as well. I have designed my e-portfolio to display my aspirations of becoming a physician through an illustration of both my service and academic experiences, as well as the skills I have learned throughout my undergraduate career at Ohio State that are applicable to my future career. The goal of this site is to portray a professional picture of myself, while also highlighting my interests, strengths, and accomplishments throughout my academic career at The Ohio State University. 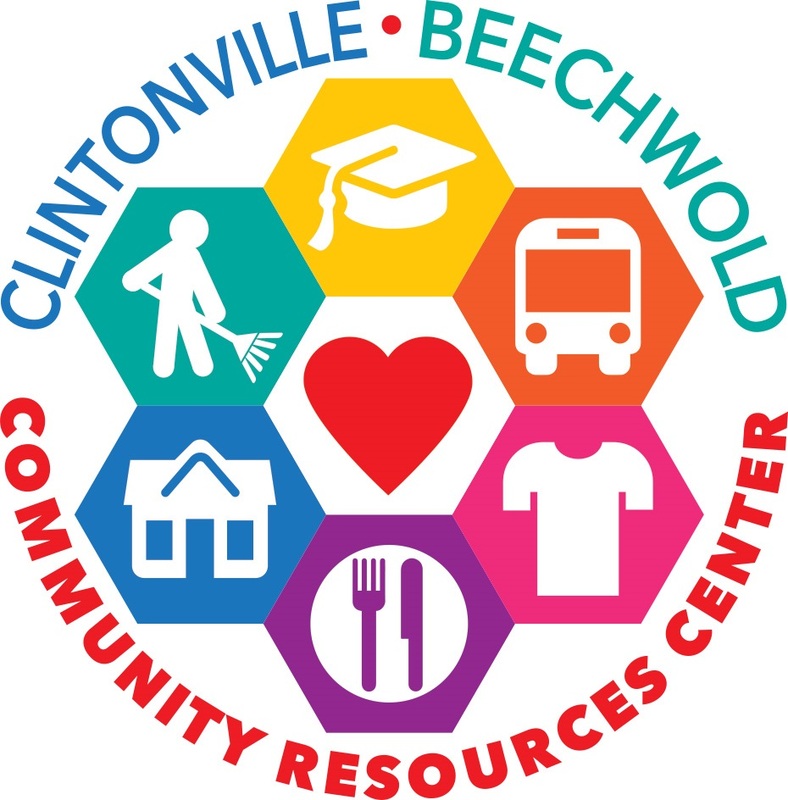 First semester of sophomore year, BioSci scholars volunteered at the Clintonville Food Pantry. Scholars had the opportunity to meet other volunteers from various programs and were able to interact with members of the community who benefited from the pantry as well. This experience has taught me just how privileged I am to attend a university like Ohio State and I will use these lessons in my future career to understand different perspectives. 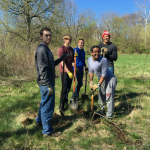 Bio Sci Scholars joined up with Nationwide to plant trees early Saturday morning with the hopes of helping the environment and giving back to the community. As I continue to progress through my academic career, I look ahead to my future in medical school and search for experience that I can involve myself in currently in order to apply later in my life. In search of this preparation, I have gained an internship this summer at Silver Cross Hospital in New Lenox, IL. I hope to conduct cancer research and even gain experience helping patients in the emergency center alongside professional cardiologists. I feel this volunteer position will not only give me a chance to give back to my community and allow me to further continue my service, but it will also give me the experience necessary to become a physician later in my life. Before I became involved in the BioSci Scholars program, my leadership skills were unrefined and my ability to serve as a peer-mentor to others was non-existent. My experiences on the scholars intramural flag football team have allowed me to grow in both areas by being both a player and a peer coach at times as well. When I entered the scholars program I was ambitious but inexperienced in many areas. Now that first semester is almost over, I’m more involved in service and my diversity. I am still willing to evolve in my education and I remain open to new experiences and different points of views. Personal growth gives us context and perspective by displaying our evolution through individual experiences and life lessons. This is important so that we can analyze the events that cause us to grow as both students and human beings and be more open as future opportunities present themselves to us. 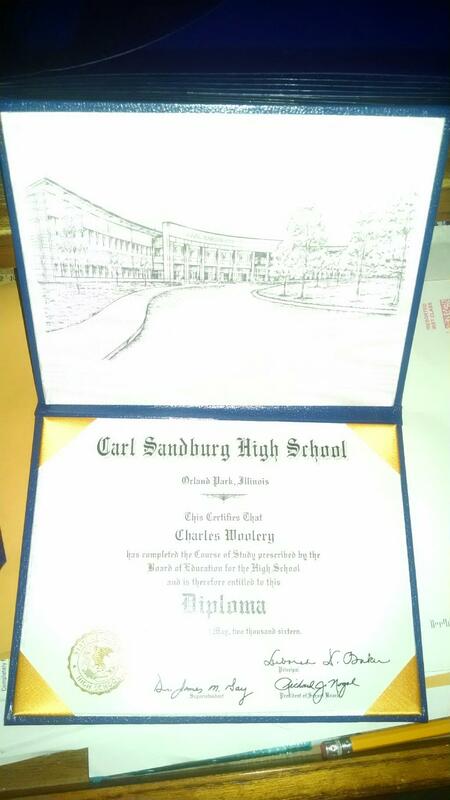 My high school diploma is not only a representation of my accomplishment of graduating from high school, but also a constant reminder of my newfound responsibilities as a student, a scholar, and a man. Graduation symbolizes independence, maturity, and responsibility. As a high school student, many things were out of my control and it was easy to attribute mistakes or shortcomings on others. As a college student, everything is a reflection of you- success and failure. 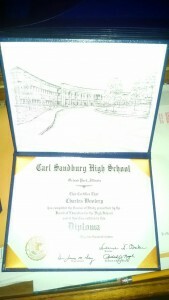 The diploma illustrates past success as well as future challenges and aspirations. I plan to graduate from college in four years, attend a post secondary school, and attain a career in the medical profession.